There are two ways to think about the four-cylinder Macan: either as the least expensive way to get a Porsche, or a really overpriced, lifted hot hatchback. It turns out, a lot of Macan buyers don’t care about the number of pistons under the hood. The Porsche Macan has a starting MSRP of $48,550, before you start adding those pricey options, and comes standard with a 2.0-liter turbo-four that puts out 253 horsepower and 273 pound-feet of torque. Porsche claims it can hit 60 mph in 6.1 seconds. Because this is an enthusiast site, it’s important to put that performance in perspective with other cars using the same powerplant. A Volkswagen Golf R costs about $36,000, has 292 HP and will do the zero to 60 in about 5.2 seconds—heck, my $28,000 2015 GTI with only 220 HP should beat the Macan in a sprint. The new Audi Allroad which starts at around $44,000 is both a luxury car and a wagon. It has identical horsepower and torque specs, yet according to Automobile Magazine, will do a zero-to-60 run in about 5.9 seconds. That’s right my fellow long-roof loving Jalops, a wagon using the same engine was able to out sprint the more expensive Macan. Why would anyone buy a crossover when you can get a quicker hatchback or wagon for less? It’s a question that many of you asked when the pricing on this car was released. The answer, of course, is that internet commenters share a different perspective than the folks actually buying these things. Those who are in the market for a $50,000 luxury crossover typically don’t rank zero-to-60 times high on their priority list. 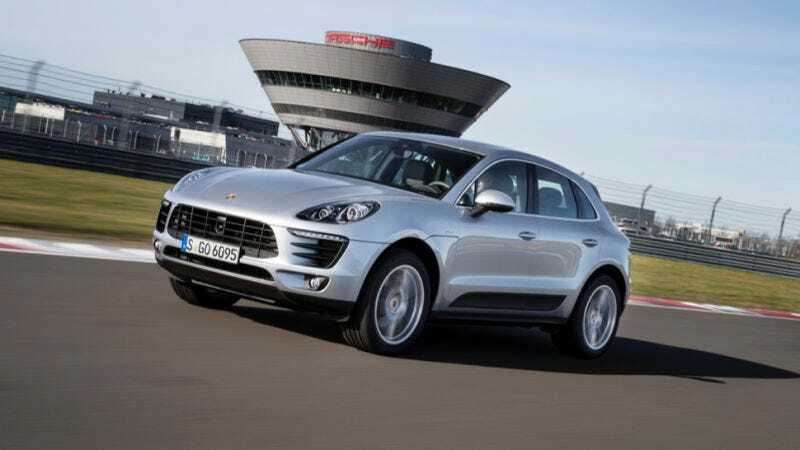 In fact, Porsche was quite surprised when 4o percent of Macan sales came from the four-cylinder option. Porsche sold 17,536 Macans in November, around 7,000 of which were equipped with the turbo-four. Audi, on the other hand, managed to sell a whopping 271 Allroads last month. Another interesting tidbit of information via Automotive News is that 80 percent of Macan buyers came from other brands. Porsche may have an objectively “overpriced” crossover that isn’t all that quick for the money, even though it comes from a performance-oriented marque, but people tend to forget that the entire Porsche lineup can be outperformed by a cheaper alternative. And that doesn’t ever seem to matter once the sales figures are tallied up.